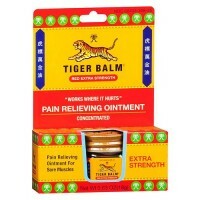 A blend of herbs for bruises, stiff necks, sprains and strained or sore muscles. A synergistic blend of herbs for bruises, stiff necks, sprains and strained or sore muscles. 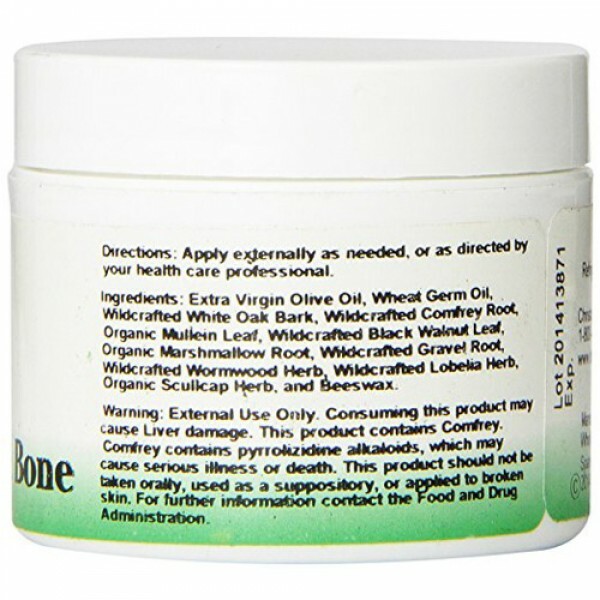 Also known as Bone, Flesh and Cartilage or Regenerative Formula. It is a bone, flesh and cartilage combination that does wonders in restoring flesh and internal healing of bones and cartilage. It can be taken in several different forms, including an ointment and a massage oil. It has done miraculous things with broken backs, legs and hips. This formula has been used on curvature of the spine, polio, multiple sclerosis and muscular dystrophy, stroke, arthritis of the bone. 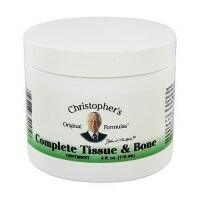 This formula is a powerhouse and has helped rebuild torn cartilage and sinews, fractures, etc. 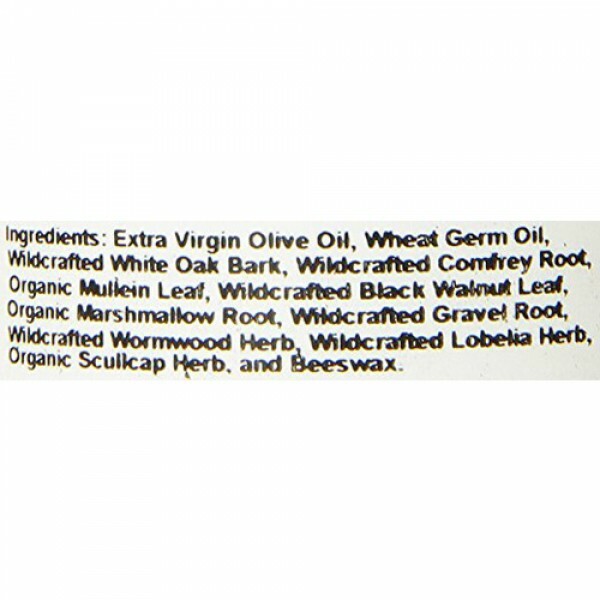 Made with oak bark, comfrey leaves, marshmallow root, as well as other herbs. It is useful in treating abrasions, arthritis, athlete's foot, broken bones, bruises, burns and sunburns, carpal tunnel syndrome, cuts, dizziness, eczema, hernia, inflammation, itch, osteoporosis, poison ivy and poison oak, skin problems, sprains, and stiff neck. Used historically by natural healers and many herbalists to help regenerate proper joint function and healthy connective tissue, healthy bones, many skin disorders as well as helping to promote the general health of the skin and nails. (Primary use: external) . 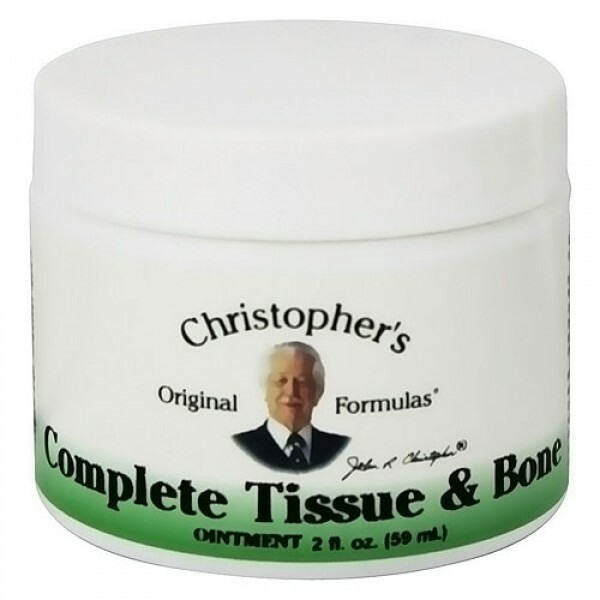 The Complete Tissue & Bone Ointment is the same formula as the ointment, except it does not have beeswax added; thus, it is a liquid at room temperature. External use Only. Consuming this product may cause Liver damage. This product contains Comfrey. Comfrey contains pyrrolizidine alkaloids, which may cause serious illness or death. 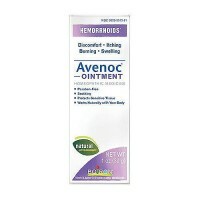 This product should not be taken orally, used as a suppository, or applied to broken skin. 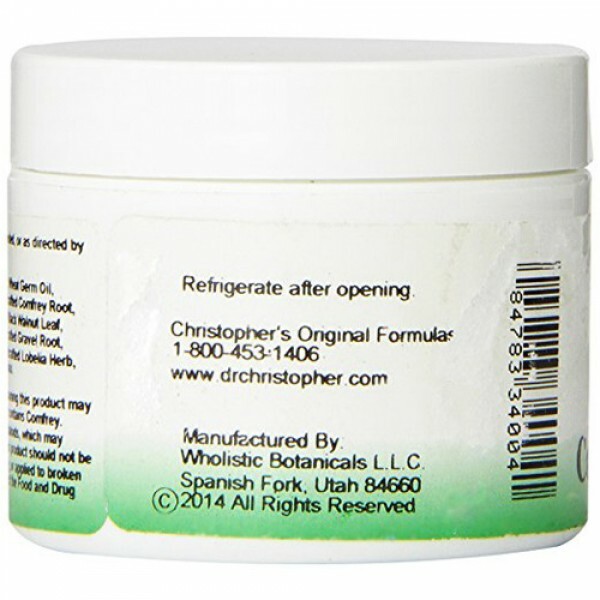 Refrigerate after opening.